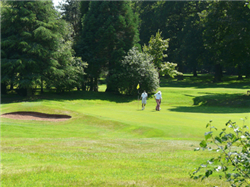 Visitors are more than welcome to play the course, although availability may be restricted on competition days – principally Wednesdays and Saturdays. We offer a range of seasonal deals and packages, so please contact us to arrange your tee-time and find out more about the offers available. Fees for individual golfers, or a fourball are shown in the table below.